What are the benefits of hip and buttocks Waterlipo™? 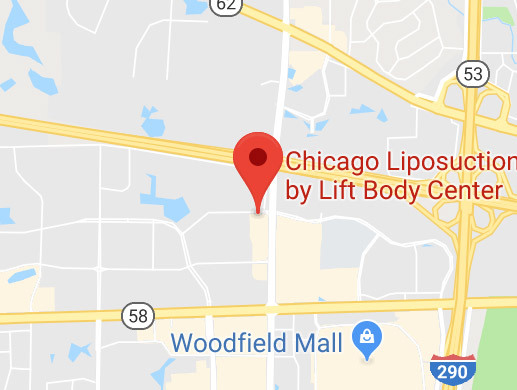 What should I expect to happen during the Chicago Liposuction procedure? Extra weight in the hips and buttocks is a problem for many people, especially women. The hips and buttocks are an interesting area because so much of how we perceive beauty is a matter of our own cultural heritage. How much is too much is a matter of personal taste. Hip and buttock liposuction reduces common problem area fatty deposits and adds contour and curves to your figure. Our preferred method of liposuction technique for this area is Waterlipo™. Waterlipo™ is a procedure that allows for targeted extraction unwanted fat while yielding the smoothest contour possible *. With the Waterlipo™ technique, only a local anesthetic is used to numb the area and the patient remains coherent throughout the procedure. There is no need for dangerous general anesthesia or IVs. Tiny incisions are utilized so that the 3.5 mm body jet cannula can literally wash out the fat with water pressure. The Waterlipo™ procedure can also promote skin tightening in the area. This technique is much more gentle than traditional liposuction techniques and, as a result, downtime is minimal. Liposuction done with the Waterlipo™ technique is a safe procedure that can help reduce unwanted fat. The Waterlipo™ procedure takes only an hour or two perform, depending on the designated fat extraction. This technique is designed to safely extract fat and tighten the area, simultaneously. Since liposuction with Waterlipo™ is performed with only light sedation, most patients return to normal activity and work within 24 to 48 hours. There are many benefits to having hip and buttocks liposuction with the Waterlipo™ procedure such as better fitting clothes, improved confidence, tighter skin, and a more youthful appearance. The tumescent Waterlipo™ procedure can help reduce fatty deposits and can restore proportionality to the body. Waterlipo™ of the hips and/or buttocks is performed on-site in our safe, state-of-the-art office, so there are no additional fees. Patients are lightly sedated with a local anesthesia, so they remain awake and coherent throughout the procedure. The process is relatively simple. Patients are numbed and then tiny incisions are made for the placement of the water jet cannula which literally washes fat away with water pressure. The cannula is only 3.5 mm in size, so it leaves no unsightly scars. The procedure take only about two hours, and patients are able to walk out of the office with a newly sculpted body. Patients are not permitted to drive, however. Each patient will need to be picked up after the surgery and driven home. It is recommended that patients are in good health when undergoing any procedure to reduce risks and potential complications. This procedure is not a means of weight loss. Instead, is a procedure designed to extract moderate amounts of fat and contour the body into better proportion. Tiny incisions are used on the buttocks or hips and are not noticeable for long after Waterlipo™. The incisions heal very quickly after the procedure and, after a few months are either invisible, or appear as small barely visible freckles. Sagging skin is not a concern with Waterlipo™. The water pressure promotes skin tightening as the fat is extracted by causing skin contraction. Most people will actually see an improvement in skin tone and firmness after this kind of liposuction. For looser skin, laser skin tightening is added to the procedure. Because Waterlipo™ uses local, tumescent anesthesia instead of general anesthesia, the procedure is very safe. In addition, because Waterlipo™ is a far more gentle type of liposuction than traditional technique, discomfort is relatively mild after the procedure. In fact, the vast majority of our patients feel that they can return to work the next day. There are no stitches and the tiny incisions close up within two to three days. Each patient is required to wear a compression garment for about one week under their clothes. These garments are not visible to other people and can be worn in public without feeling self-conscious. There will be swelling in the area after the procedure, which will subside after the tumescent solution is absorbed through the body. To learn more about Waterlipo™ of the Hips or please contact our friendly staff to set up a free consultation with our doctor at 847-995-9000.